In our small but charming Heron Hall we have a venue for all aspects of our social and cultural life; it is a centre for concerts, drama, parties and other celebrations of community living. Plays may be specially written or be taken from outside authors. Musically speaking, we enjoy a concert on our own or visiting artists both inside and outside Camphill, and for those who are interested there are visits to local and regional venues for concerts, plays and shows. A number of people learn to play the lyre and other instruments. As a Christian based community our festivals follow the circle of the Christian year. Our preparation for these festivals with concerts and plays helps us to understand the meaning of these events. At Candlemas we welcome the coming Spring by lighting candles in the earth. On Shrove Tuesday we have fun with a pancake race and Carnival. This leads us into Lent, Holy Week and Easter with its more solemn, inward celebrations. 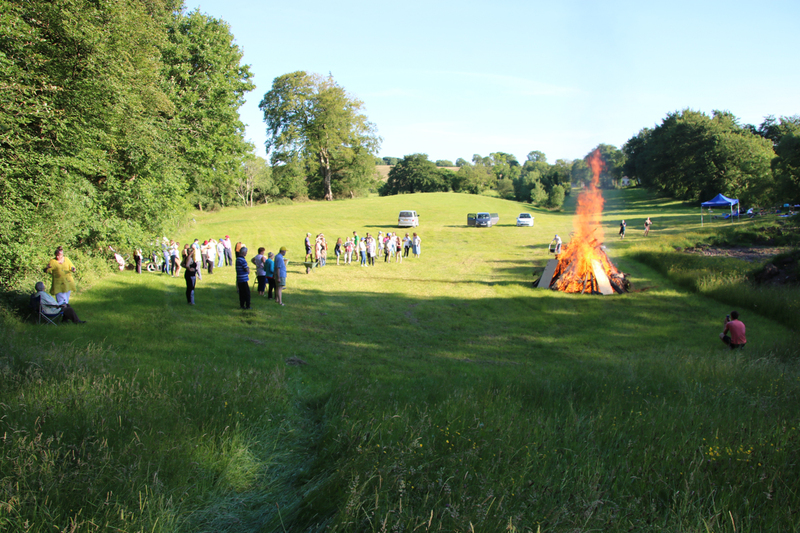 In brighter, longer days we move outdoors to Ascension Day and Whitsun, culminating in St. John's Day with a bonfire and a performance of a seasonal play. Michaelmas sees a harvest meal in the milking parlour. St. Martin's brings forth the first lanterns - from our Playgroup - to lighten the darker months which leads to Advent and finally Christmas with all its light and joy. The Twelve Holy Nights (equivalent to the Twelve Days of Christmas) brings us to Epiphany and finally we come to Candlemas again.